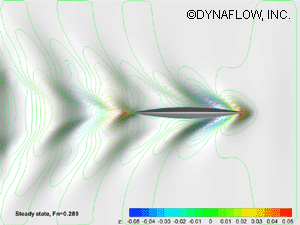 Hydrodynamics | 3DynaFS | Dynaflow, Inc. 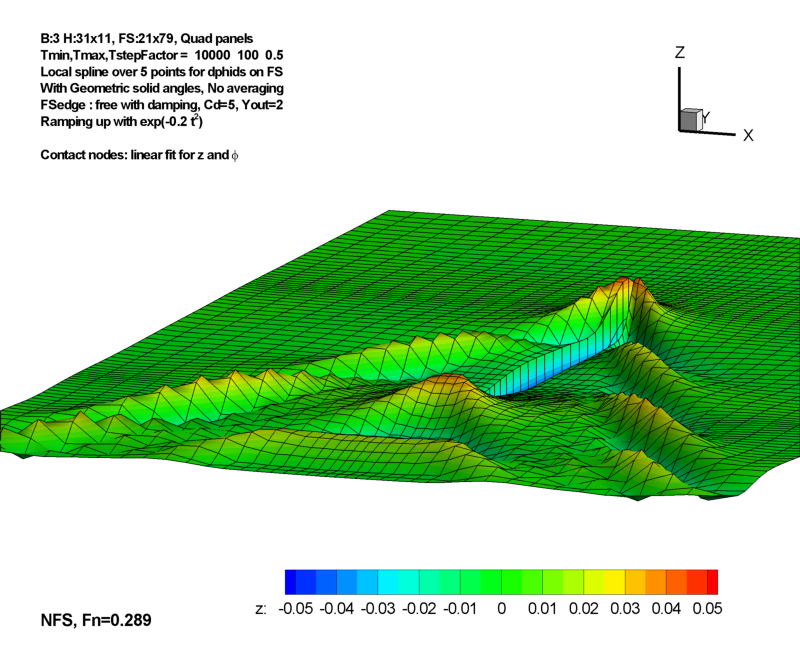 Modeling of NACA0012 hydrofoil translating below the free surface. Comparison of free surface shape above the NACA0012 hydrofoil. Chord length 0.203 m, α=5º, and translation velocity Uin = 0.80 m/s. 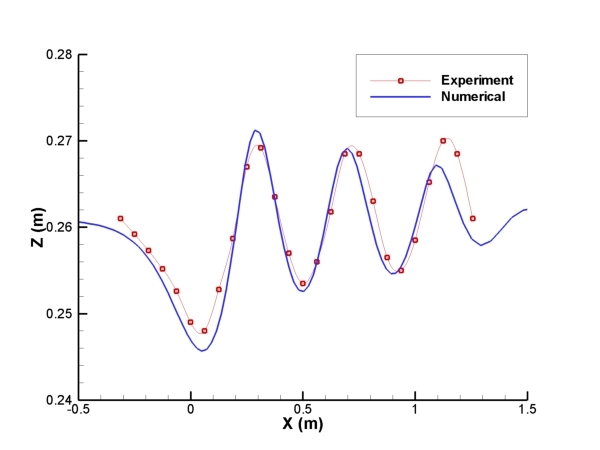 Nonlinear wave generated by a ship – 3DynaFS-Bem© prediction. Predicted wave pattern around a Wigley hull. 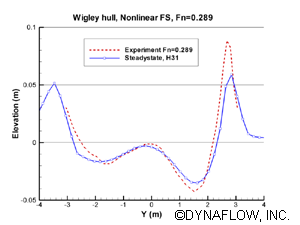 Comparison of the predicted and experimental wave profile along the Wigley hull.